Tania G. Levey, Ph.D. is an associate professor of Sociology at the City University of New York, York College. Current research interests include gender, sexuality, social media, and work. Women who use social media are often subjected to blatant sexual harassment, facing everything from name calling to threats of violence. Aside from being disturbing, what does this abuse tell us about gender and sexual norms? And can we use the Internet to resist, even transform, destructive misogynistic norms? 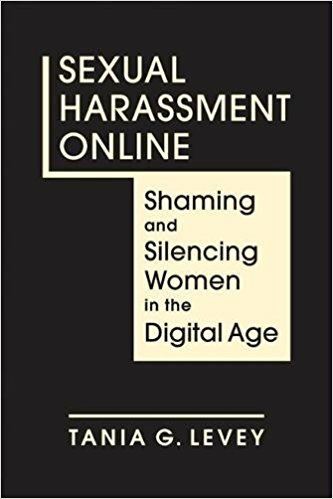 Exploring the language of shaming and silencing women in the cybersphere, Tania Levey addresses these questions and also considers how online attempts to regulate women’s behavior intersect with issues of race, ethnicity, and class (Lynne Rienner, 2018).